Today we travelled north for a tour of the area of what is known as the northern valleys, referred to by many as the Jezreel Valley. The tour was focused on the development of the area in the modern period – this swampy valley was one of the large areas of modern day Israel that the early Zionists were able to purchase from local landowners (they did not want it given the difficulty in farming here). Here, the pioneers developed techniques to drain the land and transform it into prime agricultural real estate; here developed the first kibbutz and the first moshav – the communal agricultural settlements. 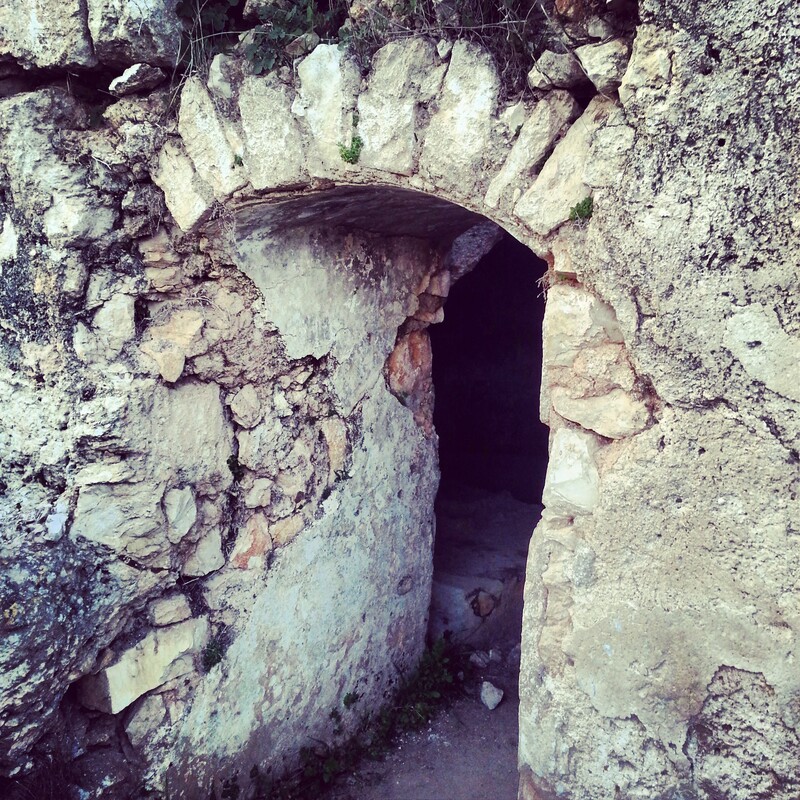 First though, we travelled back in time at Tel Yoqneam. Only recently made accessible to the public, this is the remains of a settlement dating to the bronze age (it is mentioned in the bible). The site is still under excavation so presently there is little to see but the ruins of a Crusader church; still the commanding views over the lower Galil make it worth the climb. 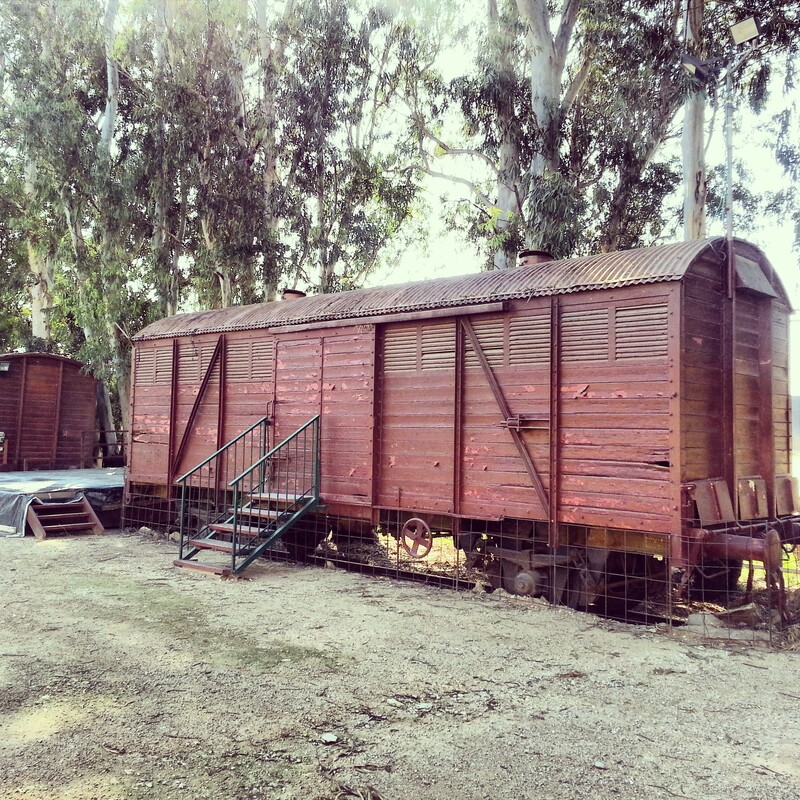 A short distance away lies the old train station of Kfar Yehoshua, recently restored and turned into a museum about the Valley Railway. Built in the early 20th century, it helped provide supplies to the construction of the larger Hijazi railway, which connected Istanbul with Mecca, via Jordan. As a by product it served to help develop the area of the lower Galilee. The film in the museum is actually really good (and amusing!) and worth a short stop for all rail enthusiasts. Work is currently underway to build a new railway in the area, although it will not follow exactly the same route. It is possible to see the work all along the valley; when it will be completed is rather hard to say, however! 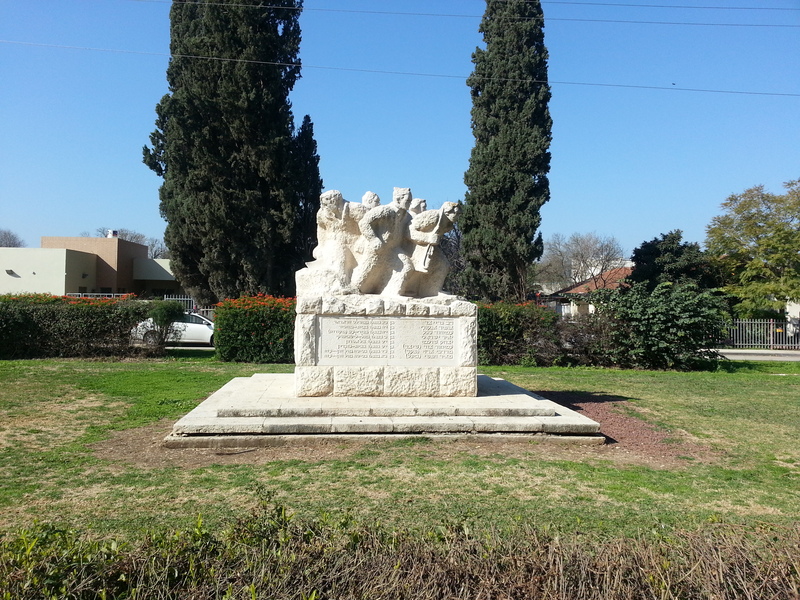 A short ride away took us to the moshav of Kfar Yehoshua, named for Yehoshua Hankin, who was responsible for organising a great deal of the land purchase in the area. We learned here about the development of communal living in these early pioneer settlements, which eventually evolved into the kibbutz and moshav that we know today. 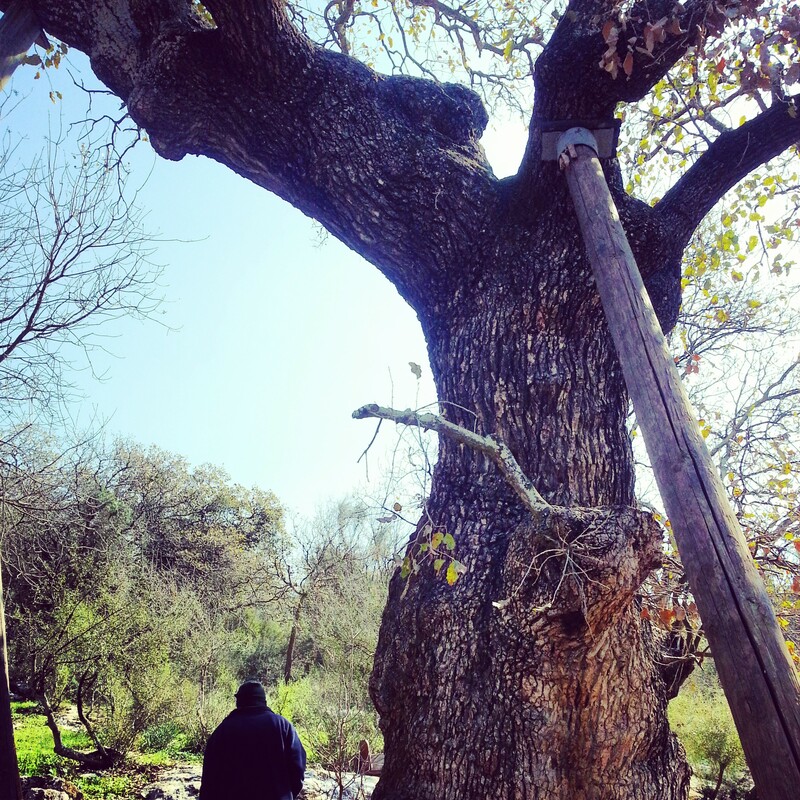 The Oldest Mt Tavor Oak in Israel! It was a beautiful, fresh and sunny day, so we took advantage of the marvellous weather to enjoy a countryside stroll around the area of Tivon. We explored the Mediterranean undergrowth and passed by what is considered to be the oldest Mt Tavor Oak in the country, ironically not situated on Mt Tavor. 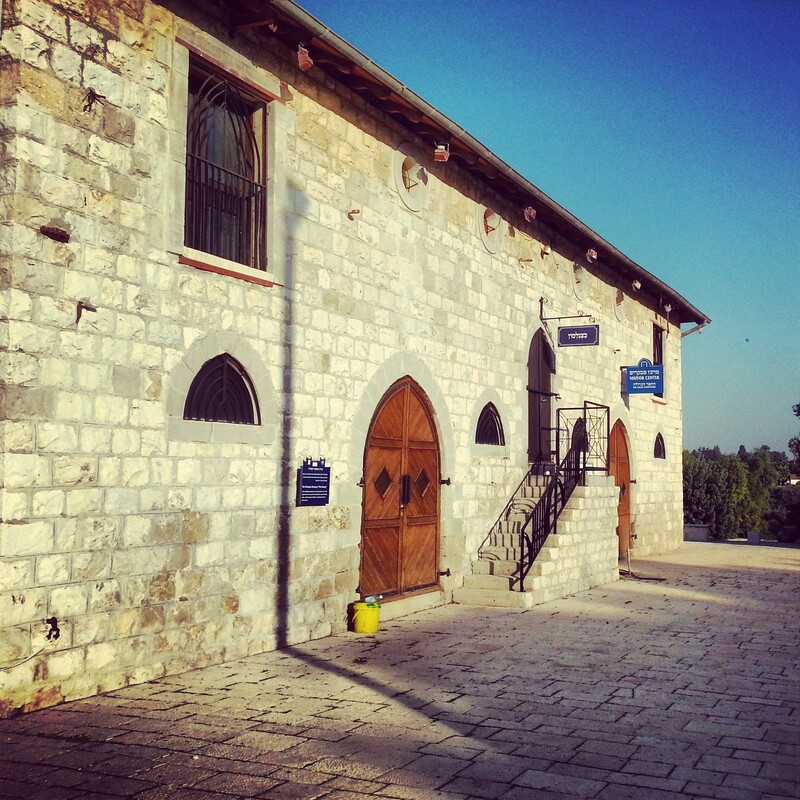 Following a spot of perambulation, we ascended to the bus once more to visit two former settlements of the Templer Christians – Bethlehem of Galilee and Waldheim (the latter is now called Alonei Abba). 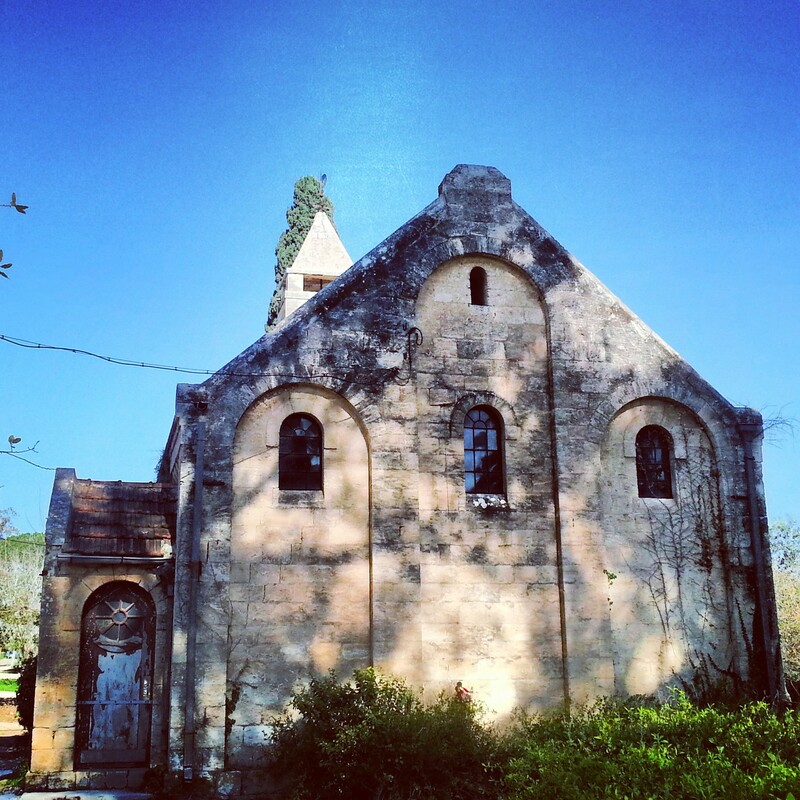 We refreshed ourselves on the Templer movement (having visited their sites previously in Haifa and Tel Aviv) and learned about their later split – some returned to the Protestant Church, as evidenced by the pretty little church in Alonei Abba. Our next stop was the cemetery of Nahalal, the first moshav. Our guide took us around the tombstones, telling the story of the early years of Israel through the people we encountered. These young, ideological pioneers formed the backbone of Israeli society in its early years. Among the most famous of the Nahalal community was Moshe Dayan, a Defence Minister of Israel with an iconic eye patch. 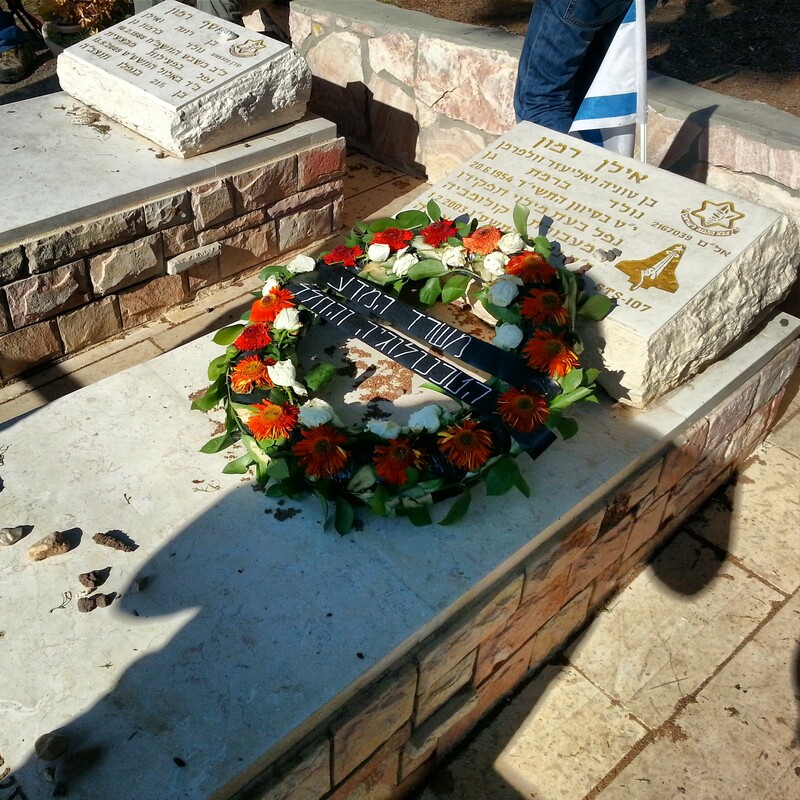 Also buried in the cemetery is Ilan Ramon, the first Israeli astronaut. He was not from Nahalal but served at a nearby airport base. Tragically, he is buried next to his son, who died 5 years ago in a plane crash. After a very brief stop in Nahalal itself, we drove on to Merhavia, not far from Afula. Now the site of both a kibbutz and a moshav, side by side, it was the first modern Jewish settlement in the Jezreel Valley. Over the years they experimented with various forms of communal living, eventually arriving at what they have today – the kibbutz and moshav side by side. The original courtyard of the settlement has been restored and there is a small museum about its history that it is possible to visit. Our final stop of the day was further north, at Sejera, now called Ilanya. This was really where everything began, in terms of the Jewish settlement of the area in the modern period (you may have noted that chronologically this day was running in reverse!). Funded by Baron Rothschild, Sejera was the site of a training farm for new immigrants. They would come here, learn how to work the land, and then take loans to buy territory, farm it and then pay them back. This model was later adopted by the JNF with the founding of the Kineret Farm (to be visited on a later trip) from which sprouted the first kibbutz. My overall impression from the day was how very impressive these young men and women were. They came to a hostile environment, with no understanding of agriculture, to work land which was so bad that it was the only land available for purchase. Yet, they pushed through the hardships, made the land work for them and created the backbone for the future state. I think the appropriate Hebrew expression is ‘Kol HaKavod’!